Make a booking or get a quote! 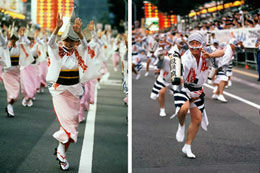 People come from far and wide to celebrate and dance for the souls of the departed. 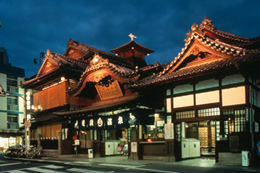 Japan’s oldest spa – people first bathed in this spot some 3000 years ago. 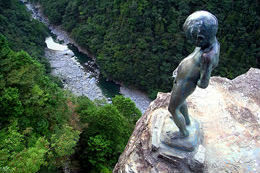 The deep ravines of the Iya Valley – one of the most isolated spots in Japan. 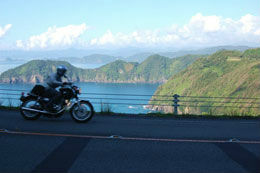 Enjoy the curves and bends along the southwestern coast of Shikoku. 785 steps to reach the main sanctuary and another 1368 to reach the inner shrine. 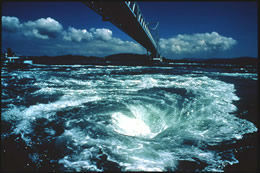 The whirlpools are best during spring tides and are especially large. 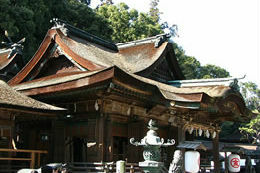 At the 23rd of the 88 sacred temples of Shikoku – the temple of the Medicine King. Shikoku is the smallest of the 4 main islands of Japan, and with its subtropical climate, is an ideal place to visit in the cooler months. 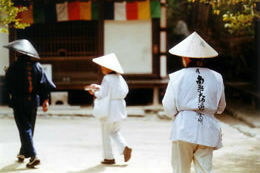 Shikoku is extremely mountainous and therefore has limited agriculture and industry. As a result, many consider this to be the most isolated and interesting of touring destinations. The Anan coast with its deep blue ocean and strong currents in the east, and the Mediterranean-like views in the west, make this region an explorer's wonderland.